Hyundai has recently brought us a lot of this bright colour too. The new facelifted Hyundai i20 has been launched in Passion Orange. Its stablemate - the new generation Verna sedan sports a similar bright colour - Flame Orange. It is almost becoming norm for all SUVs - especially the compact ones to launch in orange these days. 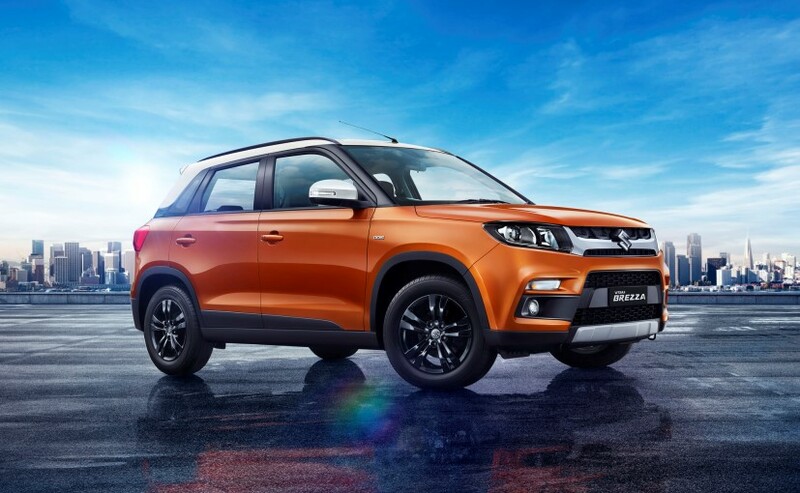 The Maruti Suzuki Vitara Brezza AMT is the latest one; breezing in wearing Autumn Orange! Ford had started the subcompacts off on this path with the EcoSport making its global debut in Mars Red (really the orange). And now besides the Brezza, the Tata Nexon AMT also debuted in Etna Orange! Fiat's Avventura is not quite a subcompact SUV but for what its worth also premiered in the same colour. It's the same colour we saw on the Baleno premium hatchback when it first debuted in 2015. 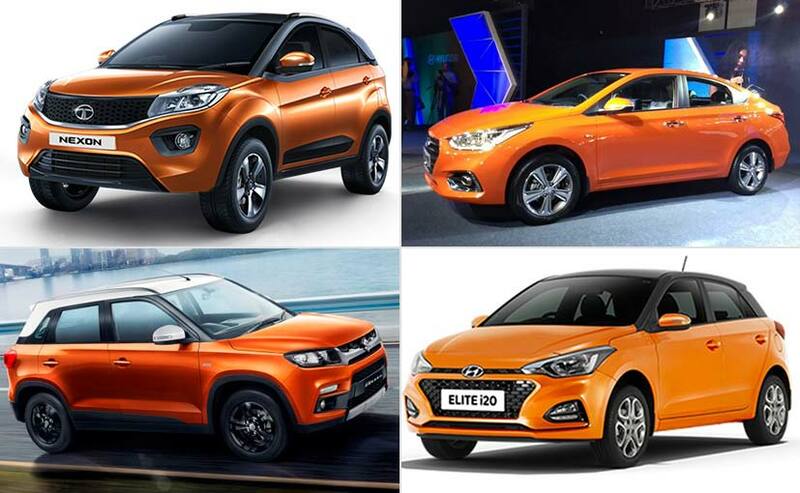 In fact Maruti Suzuki has dabbled in orange several times. The Alto K10 had also arrived in 2010 emblazoned in Tango Orange. R S Kalsi, Senior Executive Director, Marketing and Sales, Maruti Suzuki says, "Our experience and constant engagement with customers suggests there is a growing preference for chromatic colours. This also reflects in our sales. The contribution of chromatic colours in our portfolio has nearly doubled over the last 2 years." Ford had also brought us the Figo (and Figo Aspire) in what it calls Sparkling Gold. Of course the EcoSport has since lost its orange, but has gone more the red way now. Rahul Gautam, VP, Marketing, Ford India says, "Bright colours are chosen as they stand out on various communications mediums and showroom floor. These colours are both aspirational and exciting, that also help in building an instant connect with the early adopters during the time of launch, and help break through the clutter." 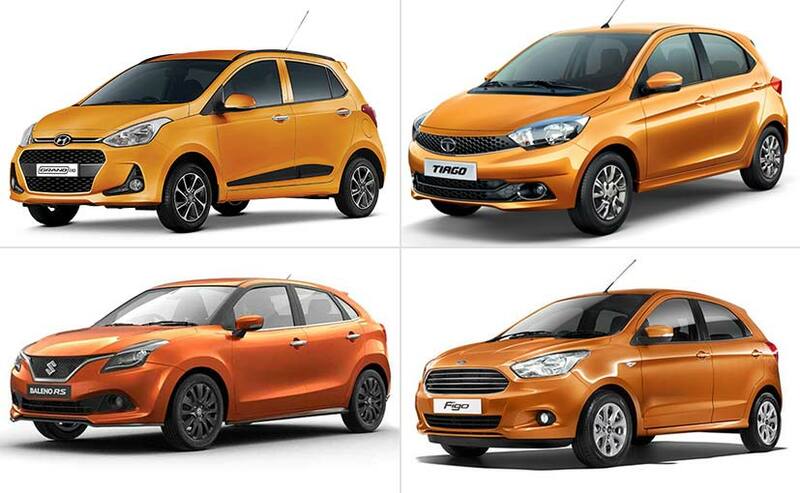 It was a similar orange on the Tata Tiago when it first arrived as the Zica. Incidentally, Tata calls it Sunburst Orange. And who can forget the current Honda Jazz, which had also debuted in citric splendour! Hyundai has recently brought us a lot of this bright colour too. The new facelifted Hyundai i20 has been launched in Passion Orange. Its stablemate - the new generation Verna sedan sports a similar bright colour - Flame Orange. And even the Grand i10 has been offered in that shade. The facelifted Creta also sports new Tangerine Orange colour. 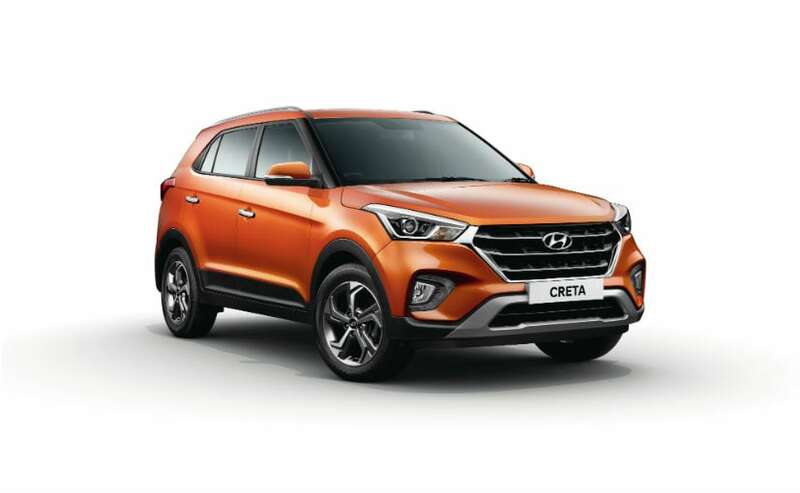 Hyundai's Director Sales & Marketing Rakesh Srivastava says, "The young customers and millennial prefer more vibrant and contemporary colours over conventional colours like White and Silver. 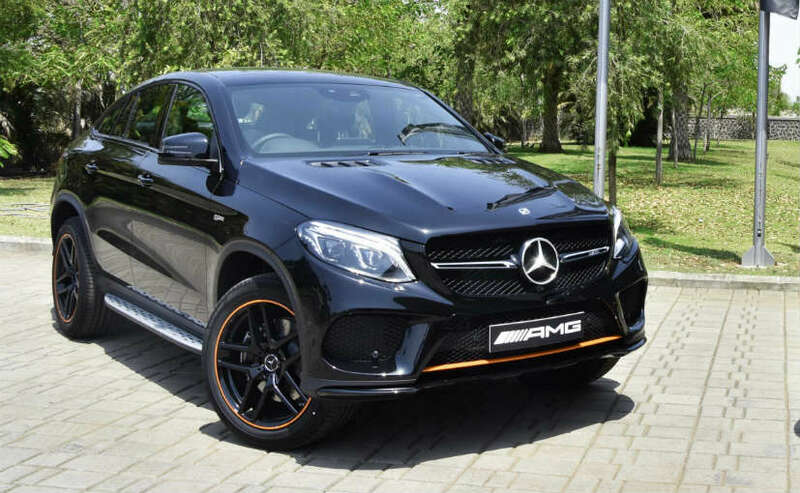 We will definitely like to experiment with such vibrant colours in our future car launches to engage our customers and create excitement in the market place." Renault seems to agree, since the brand has used orange a lot. The Alto's rival Renault Kwid uses orange as accents or highlights on its Climber variant. 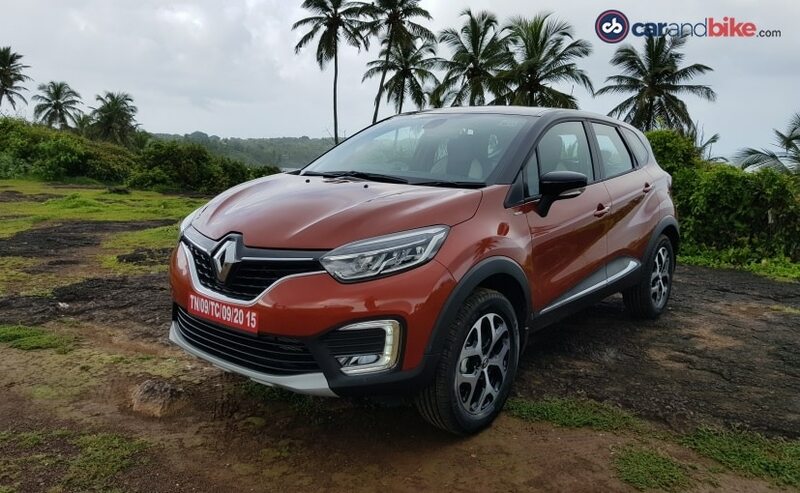 The Duster facelift was launched in Cayenne Orange, and its sister the Captur also has that colour. And yes we have quickly gone into SUV territory haven't we? The Jeep Compass Trailhawk will be launched in a few days time, and will also have the option of the signature Trailhawk shade called Spitfire Orange. It is usually coupled with a black two-tone roof. But the colour is available on lower grades on most of the range in the US. Other SUVs like the new generation Land Rover Discovery that debuted globally in 2017 and its sister brand Jaguar's Evoque convertible also debuted in Orange - pointing to a global trend as well. 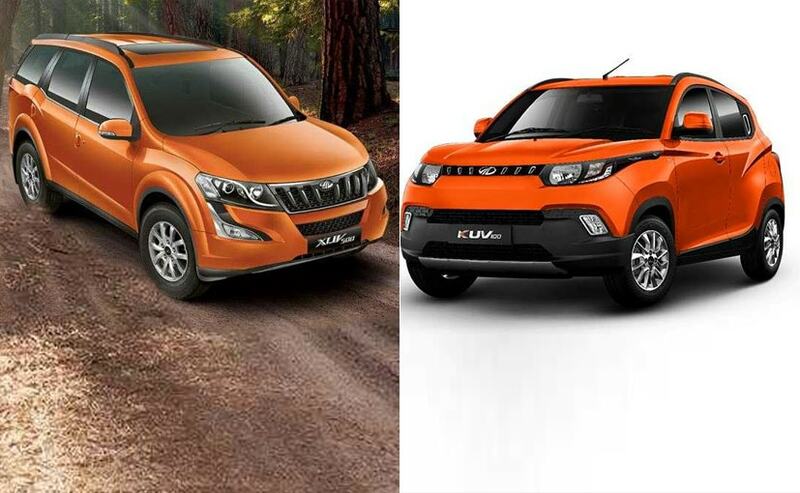 As did the first facelift of the Mahindra XUV 500 and its smaller sibling the KUV 100. Now you may think it a funny coincidence that we see orange rising at a time when there is clearly more orange on our political scene - and also more orange in America's White House! But I promise you it merely is a coincidence and nothing more! But it is not just the SUVs. 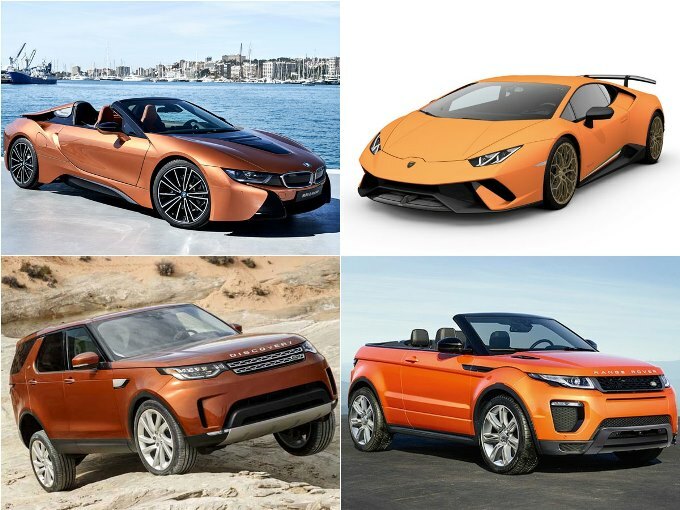 Even the super sports and sports car segments have seen several orange tones in the recent past. Porsche's Boxster 718, Lamborghini's Huracan Performante, and a car I drove just last week - the new more powerful BMW i8 Roadster. On the bike side of things Orange has been a traditionally popular choice for Harley-Davidson and KTM. But off late we find many others going orange too. The Royal Enfield Thunderbird X was recently unveiled in Getaway Orange! 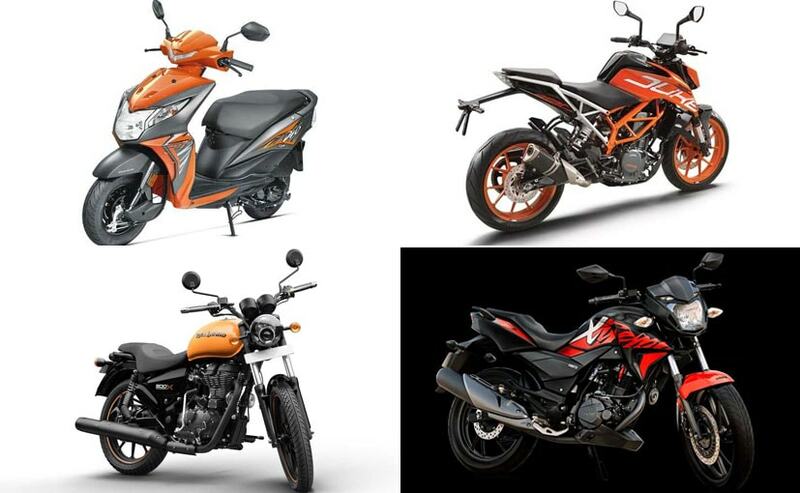 Hero's soon-to-be-launched Xtreme 200R pairs Orange with Charcoal Grey. Honda launched the 2018 Dio scooter with a choice of Orange amongst five colour options. But not everyone thinks it's a trend on the two-wheeled side of things. Triumph's India boss Vimal Sumbly feels orange is not quite the hot colour, but another one. Says Sumbly, "We do have options in orange (on our range). But in India I believe matte green is the new black." But on the car side of things, orange certainly seems to have arrived, and is here to stay. Maruti's R S Kalsi sums it up perfectly, "We see a growing trend for such peppy colours that impart individuality - helps young people stand out. Besides, there is an emerging trend of Orange family colours that are more vibrant and trendy; going well with their active lifestyle."